Singapore: Spot gold rose to its highest in a week and half on Tuesday as the dollar weakened after eurozone policymakers sealed a deal for a second bailout for Greece. Gold has drifted between USD 1,700 and USD 1,750 in the past two weeks, following the ups and downs in Greece's struggle to obtain a much needed rescue package. "Gold may remain in a consolidation phase in the near term, as it is lacking a catalyst," said Hou Xinqiang, an analyst at Jinrui Futures in the southern Chinese city of Shenzhen. "The supportive factors -- the euro zone debt crisis and expectation on loosening monetary policies around the world -- have been around for a while and gold needs something new to break the range." Spot gold inched up 0.4 percent to USD 1,740.35 an ounce by 0624 GMT, after touching a one-week high of USD 1,740.49. US gold rose 1 percent from Friday's close to USD 1,743.5 following the Greek bailout, catching up with gains in cash prices after the US market shut on Monday for a public holiday. Eurozone finance ministers sealed a 130-billion-euro bailout for Greece on Tuesday to avert a chaotic default in March after persuading private bondholders to take greater losses and Athens to commit to deep cuts. The decision will help Athens resolve its immediate payment needs, but Greece still faces a bleak financial and economic outlook in coming years. The dollar lost 0.5 percent against a basket of currencies, making commodities priced in the greenback cheaper for holders of other currencies. The prospects of further liquidity injection by the European Central Bank next week will also help prices stay buoyant, as it will help keep the opportunity cost of holding bullion low. Technical analysis suggested that spot gold faces resistance at USD 1,735 an ounce, and a break above this level could send prices towards USD 1,747, an analyst said. 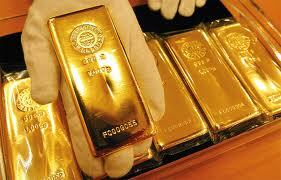 Fung said the premiums on gold bars in Hong Kong were steady at USD 1 to USD 1.50 an ounce above London prices. Money managers cut their net long positions in US gold futures and options by about 6 percent in the week of February 14, their first decline in five weeks, said the US Commodity Futures Trading Commission. Spot platinum rose 0.8 percent to USD 1,653.50 an ounce, up nearly 19 percent so far this year, benefitting partly from supply concerns in top producer South Africa. Impala Platinum (IMPJ.J), the world's second-largest platinum producer, has agreed to re-instate all 17,200 workers who were dismissed following an illegal strike, aiming to end a dispute that paralysed the company's biggest mine, the miners' union said.